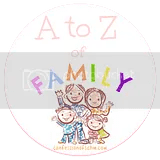 Though ‘Boys’ is my main subject of this weeks A to Z of Family post for the letter B, I can list other ‘B’s’ combined with it that I have experienced with my boys – though mainly J as N doesn’t do an awful lot yet! Yes you read that right. Very recently J has started to pick his nose and then wipe it wherever he fancies. Including furniture and other people. Usually me. Just disgusting. Is this just a boy thing or a toddler thing in general? J has been boisterous for as long as I can remember. I remember it getting really bad just after he turned 1 though. His Daddy & I feel the brunt of it when he’s climbing all over us and kicks out, even after telling off he still does it as he thinks it’s funny. We’re still trying to knock this on the head. Bonding is something which J really had to work on with N, but he got there in the end and now (most of the time, when he’s not tired and jealous!) he is a fantastic big brother and it’s great to see their bond ever growing. Another amusement of J’s. He is turning into a proper man with his bottom burps! They sound manly, they smell manly, he even lifts his bum up and then laughs when he’s done it! Obviously when I was pregnant we knew that J was going to be a big brother, but we didn’t know until N was born that J would have a little brother. Hubby and his brother have a similar age gap so I’m picturing J & N ending up like them (God help me!). This post definitely sums up boys! and Bogies….they're a toddler thing in general! My 3yo likes to eat hers…eurgh!